A practice in Michigan since 1971, no fault-divorces, as their names suggest, do not require spouses to provide evidence of fault, such as adultery, mental cruelty, or abandonment in order to obtain a divorce. While this has helped make the divorce process less expensive and time-consuming, dissolving a marriage is by no means a simple process, so if you are considering divorce, you should speak with an experienced Rochester Hills divorce lawyer before submitting your petition. There is no reasonable likelihood that the marriage can be preserved. Once this has been established, a couple will need to grapple with divorce-related issues, such as property division, alimony, and child custody. There is information that would allow the court to reasonably conclude that the couple’s minor children are at risk of being taken out of the U.S. by the defendant. Only when these elements are satisfied is a couple permitted to file in any county, regardless of where they live in the state. A divorce case starts when one of the parties files a complaint, or a summons with the court, after which the petitioner will need to have the same documents given to the other spouse, either in person or via certified mail. The other spouse then has the option of filing an answer to the complaint, in which, he or she will have the opportunity to respond to the terms proposed by the petitioner. 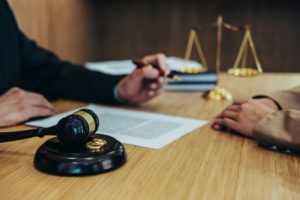 In the event that the recipient does not respond, or if both parties agree on all terms of the divorce, dissolution will be considered uncontested. However, even in these cases, a judge will still need to approve all property settlements and custody arrangements. At this point in the proceedings, couples will be required to wait for six months from the date of filing before their divorce can be finalized, although judges can shorten this waiting period if waiting the full six months would cause an unusual hardship, or for another compelling reason. If you are thinking about filing for divorce, please contact Iafrate & Salassa today to speak with an experienced Rochester Hills divorce lawyer about your legal options.